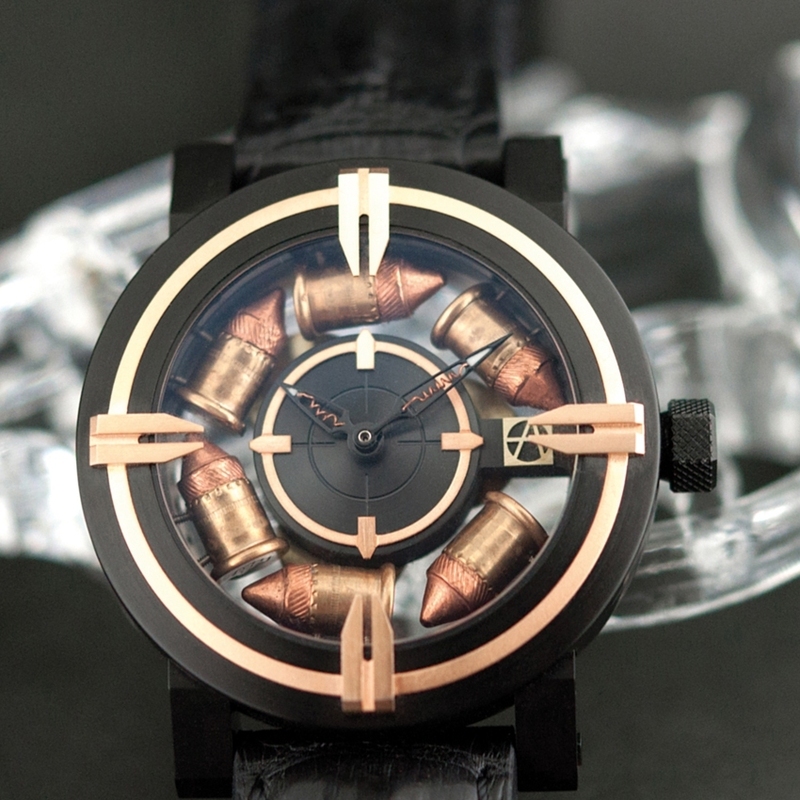 The Maya calendar predicted the end of the world in 2012, the same year the ArtyA brand presented its Son of a Gun timepiece. The real bullets it contained were a huge hit. 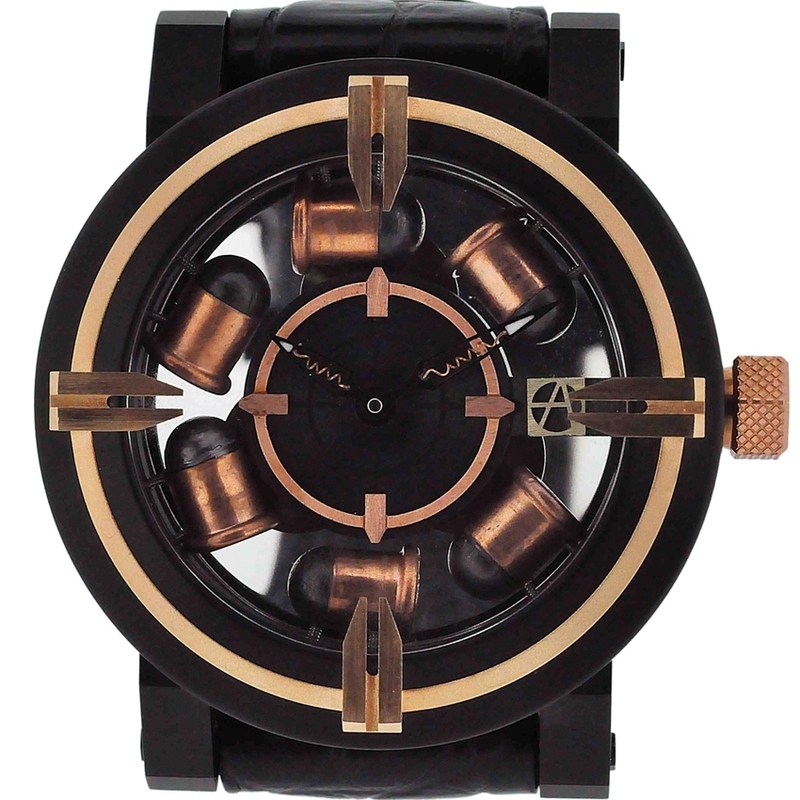 A best-seller for what was to become a collection in its own right, comprising unique pieces and limited series. 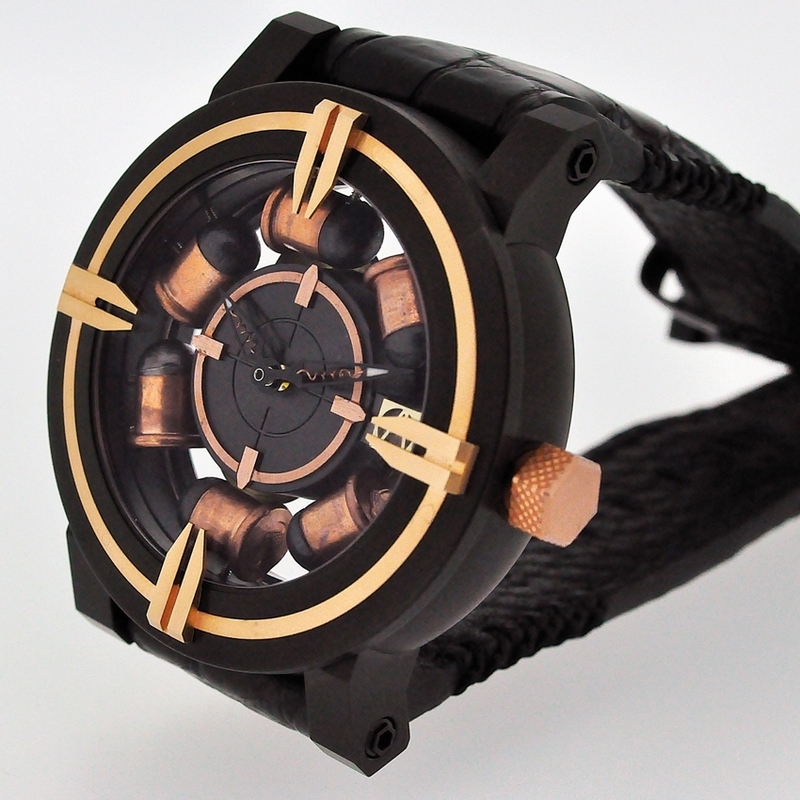 This year, Flobert 6-mm bullets seem to be floating between the black and copper colours, a highly stylised way of recalling the Son of a Gun motto: Remember to live and to be happy because you see the time but you do not know yours.